Psychophysical distress is a common side effect in cancer patients undergoing radiation therapy, leading to anxiety, adjustment disorders and depression. According to recent findings, shared decision-making (SDM) in radiation treatment decisions is essential to minimize psychological distress and can leave cancer patients feeling more satisfied with their care. Dr. Neha Vapiwala, MD, an associate professor in the department of radiation oncology at the University of Pennsylvania, has conducted new research to determine the association between SDM and patient satisfaction during radiotherapy, exploring the patient desire for and perception of control during radiotherapy, and how these factors are associated with patient satisfaction, anxiety, depression, and fatigue. “As providers, it doesn’t matter what treatment you are offering, or how complicated it is, or how busy you may be, it’s worth taking even a few minutes to talk to patients about seemingly minor decisions in which they can provide some input. It’s not only critical in today’s health care setting where both information and misinformation are rampant, but will very likely lead to the patient feeling positively about the encounter” said Dr. Vapiwala. The researchers designed a survey for 305 patients, with ages ranging from 8 to 87 years old, different ethnic and racial backgrounds, suffering from different cancers at all stages, and undergoing radiation therapy. 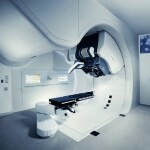 In the final week of the treatment, they analyzed patient self-reports of measured variables and concluded that 31.3% reported a shared decision-making experience in their radiation therapy treatment, 32.3% perceived themselves in having control in treatment decisions, and 76.2% reported feeling “very satisfied” with their treatment. A significant correlation between patient satisfaction and perceived shared decision-making (84.4% vs 71.4%) as well as between satisfaction and patient-perceived control (89.7% vs 69.2%) was verified. Patients who reported they were not in control of their radiation treatments showed increased anxiety (44% vs. 20%), depression (44% vs. 15%) and fatigue (68% vs 32.9%) when compared to those who considered they were in control. 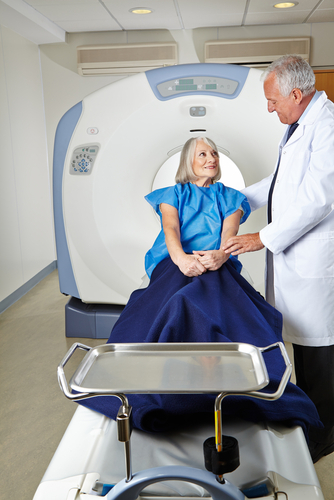 Previous studies of SDM in patients undergoing chemotherapy have shown a direct correlation between improved satisfaction and quality of life, however no group had evaluated its impact on patients going through radiation. Radiation therapy is still seen as a treatment that ultimately relies on the physician to direct, but personalized options, decisions, and discussions that can apply to individual patients already exist. 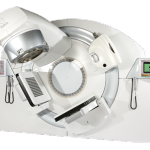 Issues such as radiation regimens, dosages, risks and benefits, as well as pain control management problems, should be part of the ongoing conversation. Future steps in the research include finding both physician and patient barriers to SDM and implementing methods to break such barriers. Tagged anxiety, cancer, depression, Dr. Neha Vapiwala, Psychophysical Distress, radiation therapy, SDM, shared decision-making.